NBC 5 / KXAS-TV has won two regional Edward R. Murrow Awards for newscast and writing. The newscast, “Remembering a Father, and a Fan,” featured NBC 5 team coverage of Shannon Stone, the Texas Rangers fan who died at the Rangers Ballpark in Arlington while trying to catch a souvenir ball for his son. In a highly emotional, carefully crafted tribute to Stone, NBC 5 talked to the people who knew Stone as a firefighter and friend, along with the Rangers players and fans that mourned his loss during their first night back at the stadium. The writing award was for a compilation of work by NBC 5 Video Journalist Andrew Tanielian, which included feature reports on a man whose home is decorated with beer cans, a taxi-driving Santa and local minor league hockey fans. 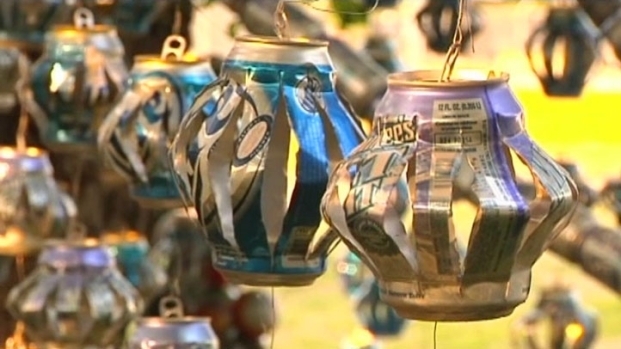 Louis Torres' love of beer can be seen all over his yard on Currie Street in Fort Worth. The Edward R. Murrow Awards were presented in large market television category by the Radio Television Digital News Association for Region 6, which includes Texas and Oklahoma. NBC 5 / KXAS-TV is the NBC-owned television station serving the communities of North Texas with quality news and entertainment programming on NBC 5, NBC 5 Nonstop and online at NBCDFW.com.